One-Liner: Where Were You Then? How has your gaming palate changed over the years? recent discussion — among this community — left me considering a parallel I really never had before. Five years ago, I had been the owner of an original Xbox for only seven months. My computer was suited for only select, low-fi games; and I used it mainly to keep tabs on friends with whom I nightly played Halo 2. Bungie was for me then what Blizzard is now: I paid close attention to news and announcements, reading articles by former public shenanigans point man Frankie O'Connor every single Friday. On weekend evenings, my friends and I would join up and play multiplayer for hours. There was Knights of the Old Republic and there was Galactic Civilizations, but they occupied whatever time Bungie's regnant franchise left over. 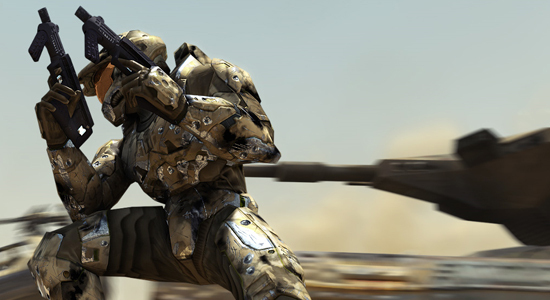 Today, I might return to Halo 3 for old times' sake; for a first-person shooter, I turn to Modern Warfare 2. Blizzard's World of Warcraft is what I follow and dedicate my gaming time to first. Half a decade seems so distant: if I concentrate, I can almost relive those moments. Almost. What about you? What games did you play — which were your favorites — five years ago? Five years ago, I was 7 months pregnant with my daughter. I was mostly playing Animal Crossing at the time, having just gotten a GameCube from a friend who had moved in with her fiance who also had one. I think the most noticeable change for me with regards to my gaming activity over the past 5 years has been the significant decrease in the free time I have to play. My current job has become very demanding. It seems like when I get home from work everyday, I am unmotivated to play. Finding friends to game with has also seemed significantly more difficult over the past year or two. I have had a bit of a shift in the way I game now compared to 5 years ago. For one I never owned an xbox until Halo 3 was released. So I was strictly a Playstation fanboy. But now that i have a PS3 & an Xbox360, I can honestly say that I switched sides. I'm not against the PS3 I just honestly never turn it on anymore other than to play a bluray movie. Another change is the fact that I played more pc games back then. But due to the increasing system requirements for games these days I have been left in the dust with my pc I bought the day I left for college. And lastly I mainly played games over a Lan with friends or splitscreen. I hardly ever played online. Mainly because of our terrible internet connection & I frankly didn't know anyone online. I would hang out with my buddies for hours & we would play command & conquer or red faction 2, twisted metal. Now when I play it seems its only with my friends online. It is interesting thinking about how the way you have played games has changed over the years. What was even out five years ago? Regardless, one thing I certainly wasn't doing then was playing online. Maybe SOCOM here and there to appease a work buddy, but it was single-player Japanese RPGs that locked me in. Now with consoles always being online, I've gotten familiar with cherry-picking a challenge from my friend's list. I still enjoy lonely time, however. My memories become even more foreign if I push past 2003, when I just began my return to gaming. Occasionally I would play with Ed and his — get this — PlayStation. No number. And maybe some Starcraft. In 2005, my then roommates/bandmates and I routinely played Mario Kart: Double Dash long into the night. Five years later, we no longer live under the same roof, but we still binge on that game when we're together. Its replay value is apparently infinite. Quite a lot of Dance Dance Revolution! I was obsessed with it 5 years ago. I was also playing other games here and there for the PS2 like Katamari Damacy, some JRGPs, Karaoke Revolution, and possibly a few others. I had a gamecube, but it never got quite as much love as the PS2. It did, however, have Paper Mario: The Thousand Year Door nearly exactly 5 years ago which was an excellent game. I also played a lot of Game Boy Advance games. Can't think of any specific titles at the moment, but there were quite a few since they were starting to get pretty cheap by that point.